They are reverse trolling you, please ignore. Get your heads checked! they have no points! The comment is from a fan who would love to meet Henry like many of us on here. Stop looking into this and causing drama. Whaa?? why are they going to Iceland this is the first I've heard of this I didn't think Superman was ever filmed around there.. I love Henry! F..off trolls! I find it amusing that people assume he is with his gf 24/7 he could have been hanging with friends or his family. point is that when he isnt working he can do what he wants and see whoever he wants, can we focus on his career please and not on things have nothing to do with us as fans. I love his work and im excited for Promethean productions. No one has assumed anything of the sort. It's when people assume he's single just because he's not pictured with his girlfriend 24/7 thats the problem. 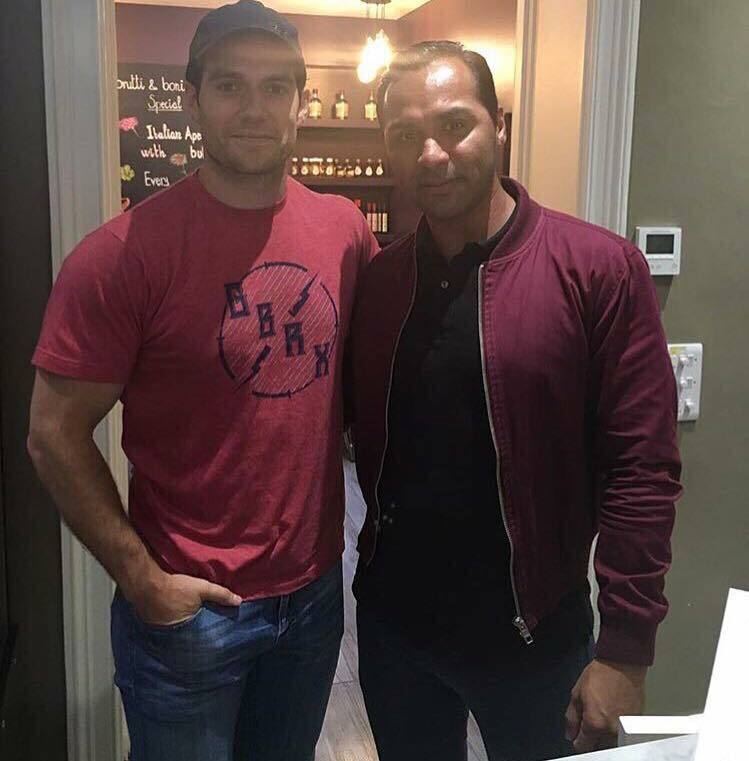 Would love to enjoy a coffee with Mr Cavill and chat as the world drifts by. I love how everybody who meets him says how nice and down to earth he is. He does that "S" proud. If I haven't said it lately, thank you HCN for all you do! This is always the first and last stop of my day. Thank you so much for your kind words and your support for Henry. Any more news about the release of Sand Castle? No release news yet, no. We'll keep you posted. @AnonymousSeptember 21, 2016 at 6:42 AM If it is being released on Netflix in Oct/Nov, does that mean it will not be a theatrical release?